When it comes to the release of new adventure bikes, 2019 has already proven to be one of the most exciting years we’ve seen in a long time. Manufacturers are falling over themselves to introduce brilliant new machines capable of taking us on adventures throughout the world. We’ve already seen the launches of the KTM 790 Adventure and Adventure R, the Moto Guzzi V85 TT, and the Ducati Multistrada 1260 Enduro, and we’ve still got the highly-anticipated Yamaha Ténéré 700 to look forward to. >>> Related: Find out how you can be among the first people in the UK to ride the Ténéré 700 during it’s public launched at the Adventure Bike Rider Festival 2019. With so much going on in the world of new adventure bikes, we thought we’d take a breath to reflect on the seven motorcycles we’re most excited about putting miles on in 2019. Walking past the Moto Guzzi stand at Motorcycle Live last year, it was clear to see the company’s new adventure bike was drawing much attention. The V85 TT, which was proudly placed on a plinth, was constantly surrounded by a hoard of admirers, and it’s easy to see why. 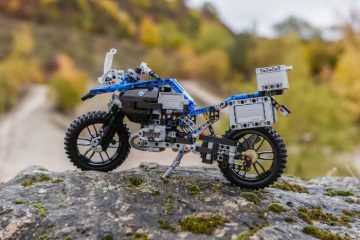 The bike has something of an ‘old school’ adventure bike look to it, though it comes packed with all of the modern technology that you’d expect from a new motorcycle, with ABS and traction control being the tip of the electronic iceberg. Designed to combine the ‘stylistic features reminiscent of the golden age of motorbike adventures with the content and function of a modern touring enduro’, the V85 TT takes direct inspiration from Moto Guzzi’s 1985 contender in the Dakar Rally, the V65 TT. With a 23-litre fuel tank, a brand-new 90-degree transverse air-cooled 850cc V-twin engine, and classic Moto Guzzi styling, the V85 TT is set for a mid-2019 launch. We were lucky enough to ride it at the international press launch recently and we were very impressed. You can read our first impressions of the bike in issue 52 of Adventure Bike Rider magazine which is due out in May. The wait is finally over… well, sort of. 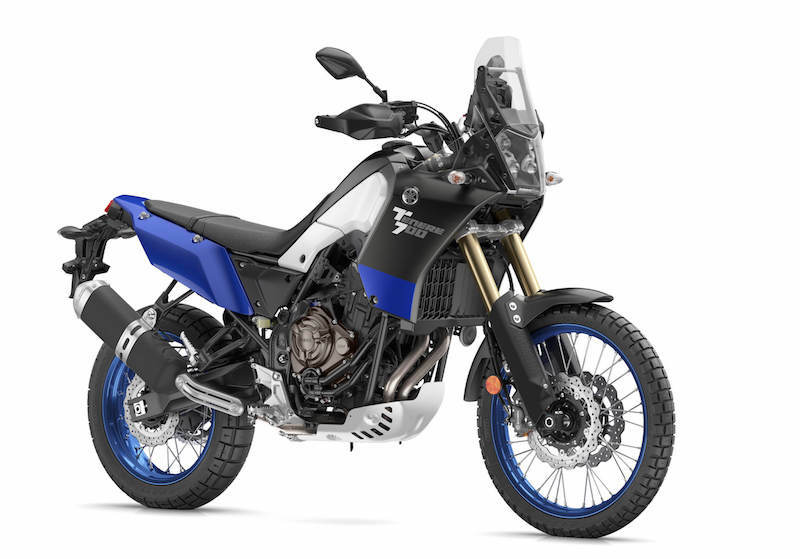 Having teased the launch of the Ténéré 700 since 2016 (when the T7 prototype was first seen), Yamaha has now revealed that the production-ready version of its new mid-weight adventure bike will be available in the UK for the second half of 2019. It’s not quite the first quarter release that many were hoping for, but at least we now know it’s on its way. With the bike on display at November 2018’s Motorcycle Live show, Yamaha says the new Ténéré 700 is a ‘rally-bred, long-distance adventure bike built to master a wide range of riding conditions on the dirt or asphalt’. The bike will arrive with a 689cc parallel-twin engine, a ‘special, optimised transmission that gives the ideal balance of power and control’, an all-new lightweight double cradle tubular steel frame, an LCD dash tower, and a unique 4-LED headlamp. The bike’s seat height has been confirmed to be 880mm, while it will have a wet weight of 205kg. It will be competitively priced at £8,699. 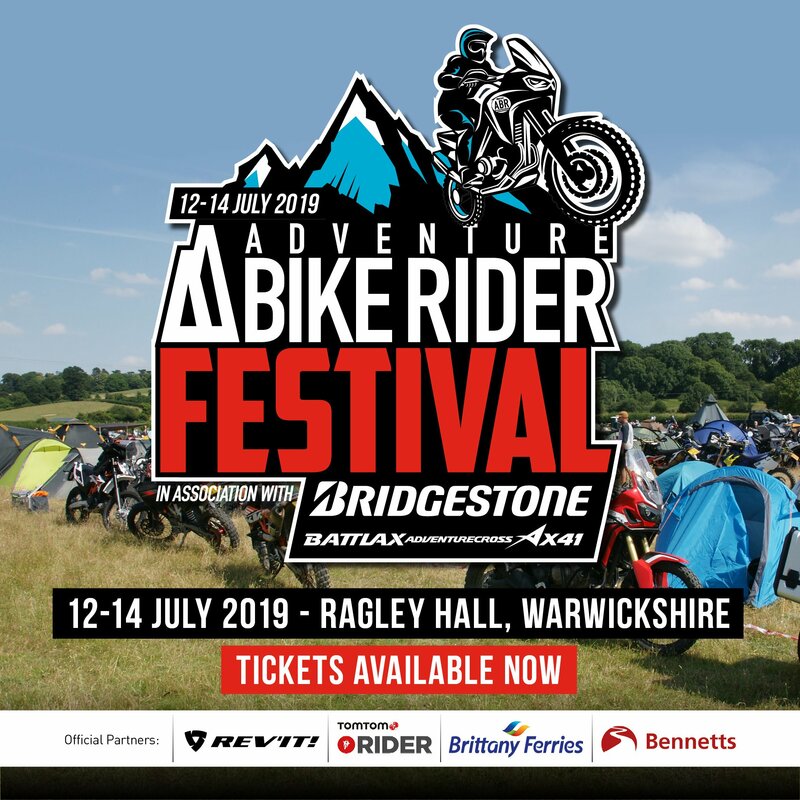 We will be attending the launch of the bike in the coming months, but what’s most exciting is that Yamaha has chosen the Adventure Bike Rider Festival as its location of choice to launch the Ténéré 700 to the public. So, if you want to be one of the first people in the UK to ride it, make sure you’ve got your tickets for the festival, which takes place on 12-14 July. While Yamaha seemingly had the undivided attention of riders who wanted a new mid-weight adventure bike, KTM snuck in and stole the Japanese company’s thunder by releasing the KTM 790 Adventure and its more off-road focussed R version. While the Yam has had potential buyers waiting around for coming up to three years, KTM first teased the 790 last year, and it is now in dealerships. It looks as though we’ve got a real mid-weight adventure bike battle on our hands. 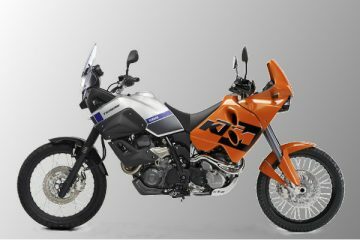 The KTM 790 Adventure shares the same engine as the 790 Duke, a 799cc LC8c parallel twin, and was developed in tandem with the company’s Dakar version of the bike. The dry weight of 189kg will undoubtedly appeal, while the bike also features a TFT digital dash, LED head and tail lamps, a quickshifter, and off-road ABS and traction control. 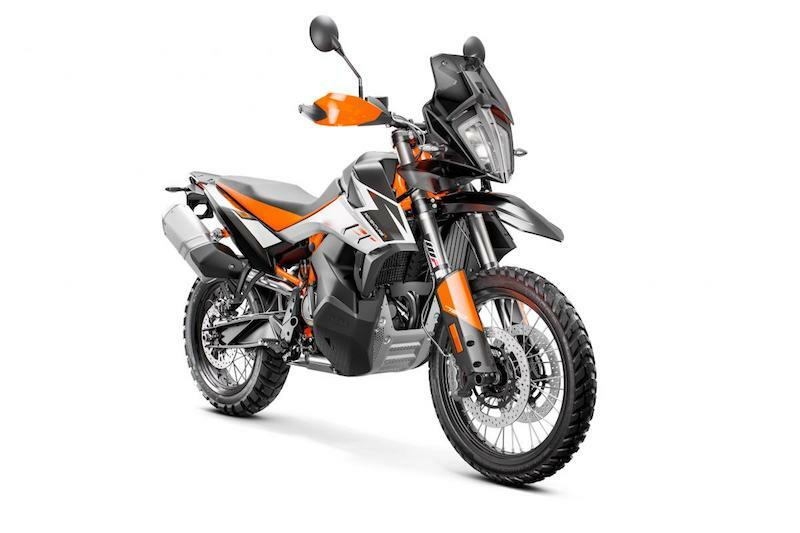 Unlike KTM’s other adventure bikes, the 790 has a seat height of 850mm, making it more accessible for those too short in the leg to comfortably handle the monstrous perches of the 1090 and 1290s. The R version of the bike builds on the stock 790 to make it more off-road focussed, with 40mm more suspension travel on the front and rear (240/240mm) and a higher seat height of 880mm. It also comes with a beak while the standard model doesn’t. 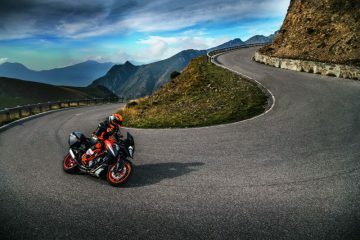 The KTM performed superbly at its launch. It is definitely worth a test ride if you’re in the market for a mid-weight adventure bike. 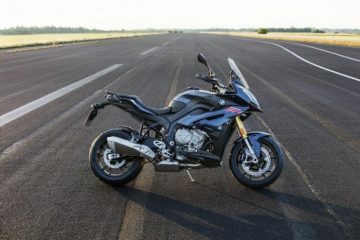 Last year, BMW said goodbye to the F 800 GS, and hello to the new BMW F 850 GS (and you can read our review of that bike here). The machine saw extensive aesthetic and mechanical changes, including a number of electronic upgrades that brought it more in-line with modern motorcycles. 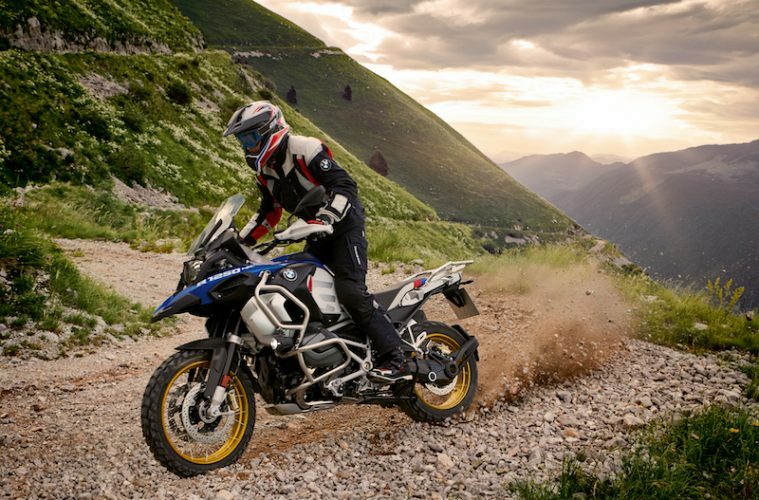 For 2019, BMW has predictably introduced a beefed up variant of the BMW F 850 GS, the F 850 GS Adventure. 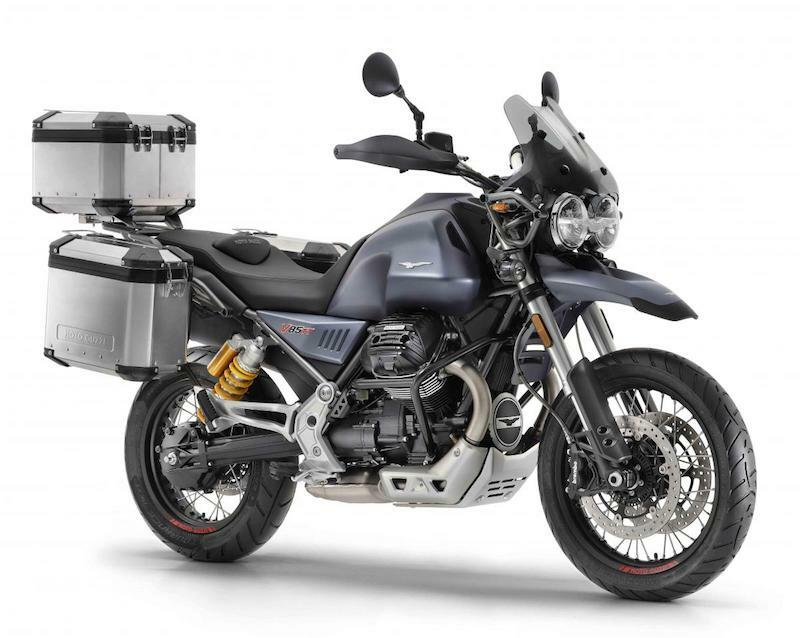 The Adventure will arrive with a host of adventure-style add-ons and upgrades, including a significantly larger fuel tank (now 23-litres instead of the 15-litres of the standard 850 GS), a larger screen for better wind protection, and a sturdier rear subframe to handle two-up touring with luggage more effectively. 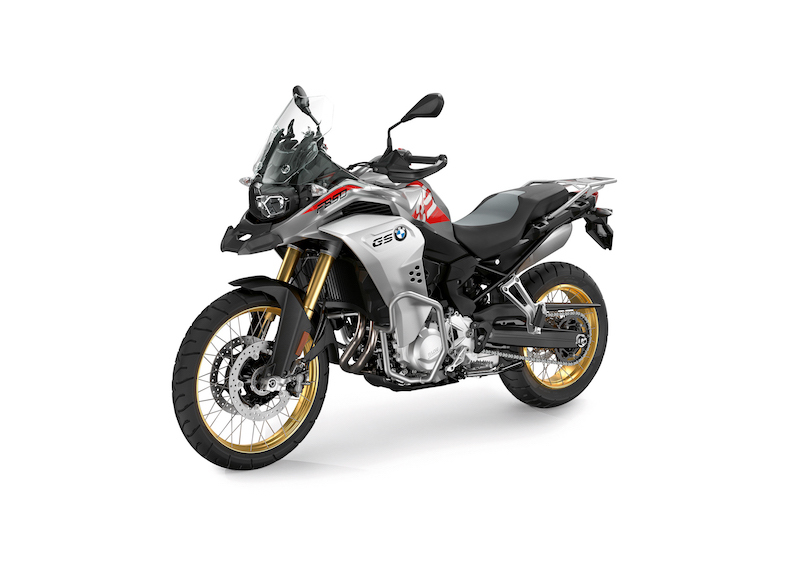 Like most of BMW’s ‘Adventure’ models, the F 850 GS Adventure makes use of much of the standard model’s gear, with the same liquid-cooled, two-cylinder, parallel-twin engine powering the machine. Due to the extra bits and bobs, the F 850 GS Adventure will weigh in at 244kg, which makes it 15kg heavier than its little brother, and it has had its seat height raised to 875mm from 860mm. 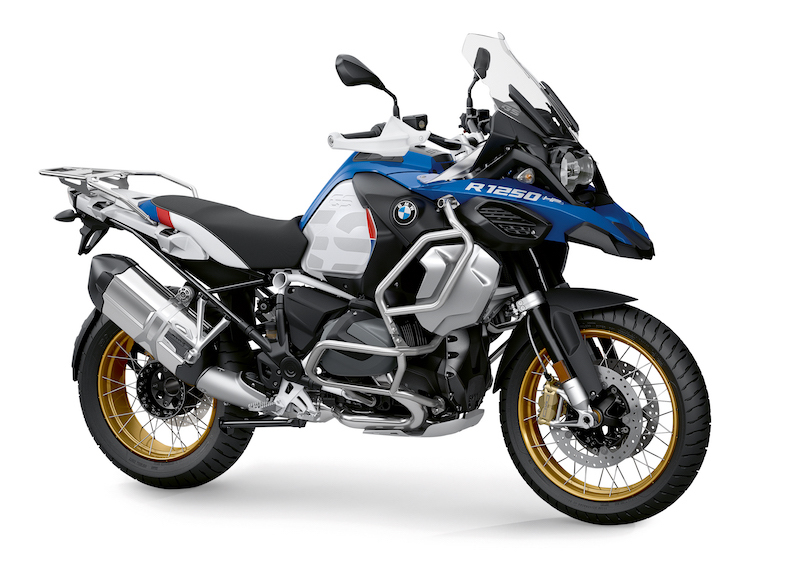 Typically, we have to wait at least a year before BMW releases the ‘Adventure’ variant of any updated model in its popular GS range of adventure motorcycles (see the BMW F 850 GS above), that’s not the case with the R 1250 GS though. 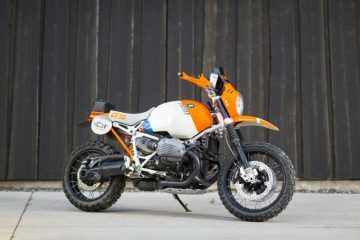 BMW’s new 1250 flagship was announced in September 2018, and it took just over two months for the German company to lift the lid on its beefier, more adventure-ready big brother, the R 1250 GS Adventure. For the most part, there’s little difference between the standard 1250 GS and the GS Adventure, which is no bad thing. What the GS Adventure does get though, is a huge 30-litre fuel tank which, when combined with the range’s new, more efficient ShiftCam technology, means this landship could (if BMW’s claims of 62mpg are to be believed) offer a whopping 400 miles per tank. Other additions include engine and tank protection bars as standard, and a new cover on the oil intake snorkel. Perhaps predictably, the BMW R1250 GS Adventure proved an outstanding ride when we tested it earlier in the year. 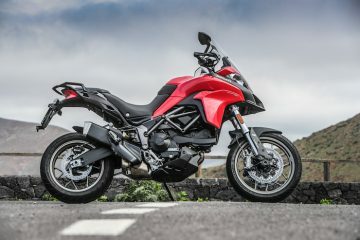 Last year, Ducati unveiled plans to ditch the Multistrada 1200 and bring the Multistrada 1260 to market, so it’s not exactly surprising that the Italian manufacturer has now rung in the changes for the Enduro version of its large capacity adventure bike. 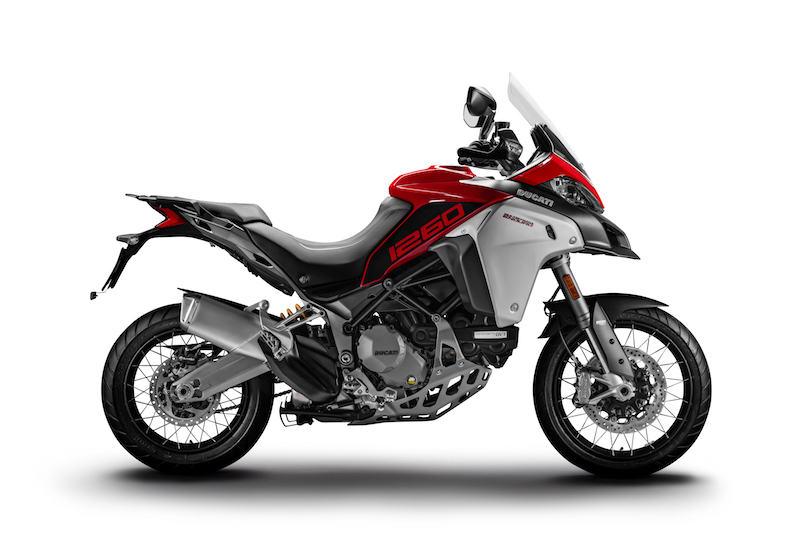 On the face of it, the Multistrada 1260 Enduro is identical to last year’s Multistrada 1200 Enduro, but the bike has undergone numerous surgeries in order to make it more appealing to your average Joe. The 1200 Enduro was a monster of a bike in terms of its size and, despite the increased engine capacity, the 1260 Enduro has been lowered to make it more accessible and easier to handle. Read our review for a full rundown on how the 1260 Enduro performs. While KTM and Yamaha are undoubtedly stealing the headlines this year, Kawasaki quietly revealed the new Versys 1000 SE. While the Versys 1000 received a number of updates for 2019, it’s the top-spec SE model that is the most interesting. Ride-by-wire, cruise control, a number of different power modes and traction control all make an appearance on Kawasaki’s adventure bike, making it a real contender for those adventure bike riders who prefer to stay on the tarmac and munch the miles. Excitingly, the SE model also includes semi-active electronically adjustable suspension, a colour TFT dash, hand guards, heated grips, a larger touring screen, Bluetooth integration, and cornering lights. We’ve already ridden it this year and it proved to be a brilliant touring bike. You can check out our full review of the Versys 1000 SE in the May/June edition of Adventure Bike Rider magazine.